The Apprentices and School Leavers conference 2015 will examine how you can attract the brightest talents. The Apprentices and School Leavers Conference 2015 will examine how you can attract the brightest talents, from schools and colleges, to apprenticeship programmes and will guide you through setting up and running apprenticeships. 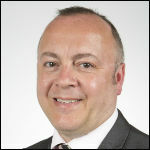 Patrick Craven, director – assessment policy, research and compliance at the City & Guilds UK. We can now confirm that Patrick Craven, director assessment policy, research and compliance at City & Guilds UK, will be joining this year’s speaker’s line-up. Patrick has over 25 years’ experience in the field of assessment design and educational technology. From the design of educational resources with the Microelectronics Support Unit, National Council for Educational Technology and BECTa running of post-sales technology support departments for KRCS (Apple Computer reseller), his career has always addressed the fusion of education and new technologies. On the day we will also be exploring: the role of parents in school leaver careers; how to drive your development and engagement programmes forward; and the practicalities and benefits of an apprentice programme in an SME. Visit the event page to find out more about Patrick, and other expert speakers that will be presenting at the Apprentices and School Leavers Conference 2015 and book your place today.